A school teacher in Ghana has become very popular on the internet because of his unusual way of teaching computing. 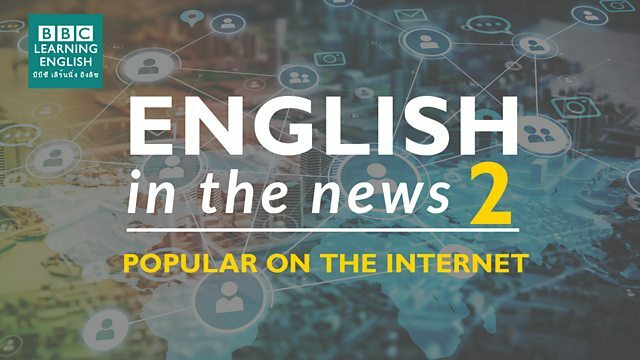 Join Sian and Clare to find out more about this news story and to learn 3 words relating to being popular on the internet. Careful with the grammar - this sentence needs a verb. I can't believe the video of my cats ______ - it's had over a million shares! We can use 'hit' to talk about something or someone that is popular or successful. Which of these sentences using 'hit' is NOT correct? Clare mentioned which preposition you need to use in English - it's not the same as in Thai! Videos of animals are always really popular ______ the internet.